The kids in Western Australia will be running wild from Monday 29 April – Friday 5 July for Easter school holidays! If you’re scratching your head for things to do these holidays, we have a pretty good list of ideas. A staycation in WA is affordable and a good adventure to get to know your own backyard. A road trip North of Perth is always a fun time with the family. Spend the long weekend camping in national parks, wake up to waves crashing on the beach or stay in the RAC Caravan park next door. A long weekend is the perfect time to explore the Coral Coast. If you’re quick, it’s possible to have a 10-day holiday during the Easter break instead of the usual 3 days off. “Easter is Friday, April 19 to Monday, April 22 in all states. Anzac Day lands two days later, on Thursday, April 25.” With two public holidays in one week, if you book Tuesday 23rd, Wednesday 24th and Friday 26th off get 10 days off to take advantage of an extra-long Easter 2019 holiday! Perth Now spilled the beans on this one so, make sure you get in before your colleagues! A scenic drive to Cervantes is a great idea to show off what the Northern corridor of WA has to offer. 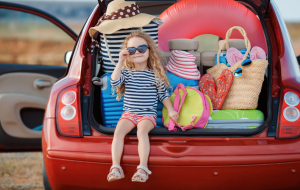 We always love a good road trip, especially if family are visiting from overseas or interstate. WA is so unique, embrace it! The Pinnacles is a landmark like no other. Everyone has to stop here for a selfie. Seafood Lunch for the Kids Too! 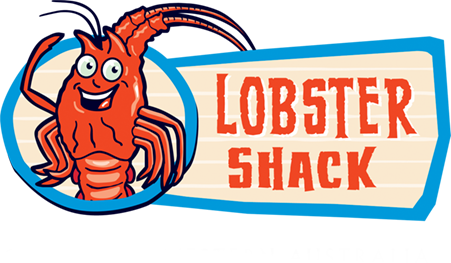 After arriving in Cervantes, come and see us at Lobster Shack! 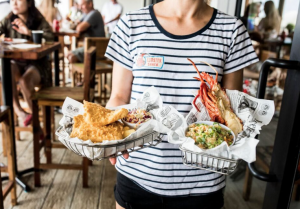 Treat yourself to the freshest seafood with a Lobster lunch. We know we have the best kids’ menu in Cervantes too, complete with ice cream and a souvenir store. No one can resist a good ice cream… Sorry, but the kids probably won’t share it with you! Lobster lunch is always followed by fun and games on the Lobster Shack Playground or beach area. Parents can enjoy watching safely from the newly revamped beer garden. If you loved your meal, don’t forget you can take home the fresh seafood too! Have you ever been up close with a Western Rock Lobster? 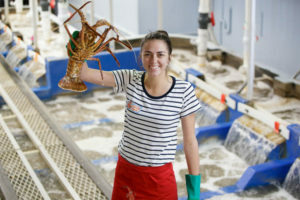 Well, at Lobster Shack you can take a self guided tour around our lobster factory and see our lobsters in person! If you’re lucky, sometimes you can get a touch of them too. 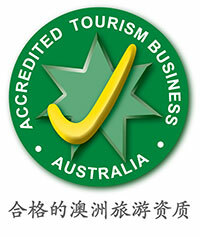 It’s not only a fun experience but an educational one too. Along the tour, you’ll learn all about the WA Rock Lobster and how unique these creatures really are. The kids will love the hands on experience. We look forward to seeing you and your family for the Easter holidays. Don’t forget about the sneaky hack we told you about too!